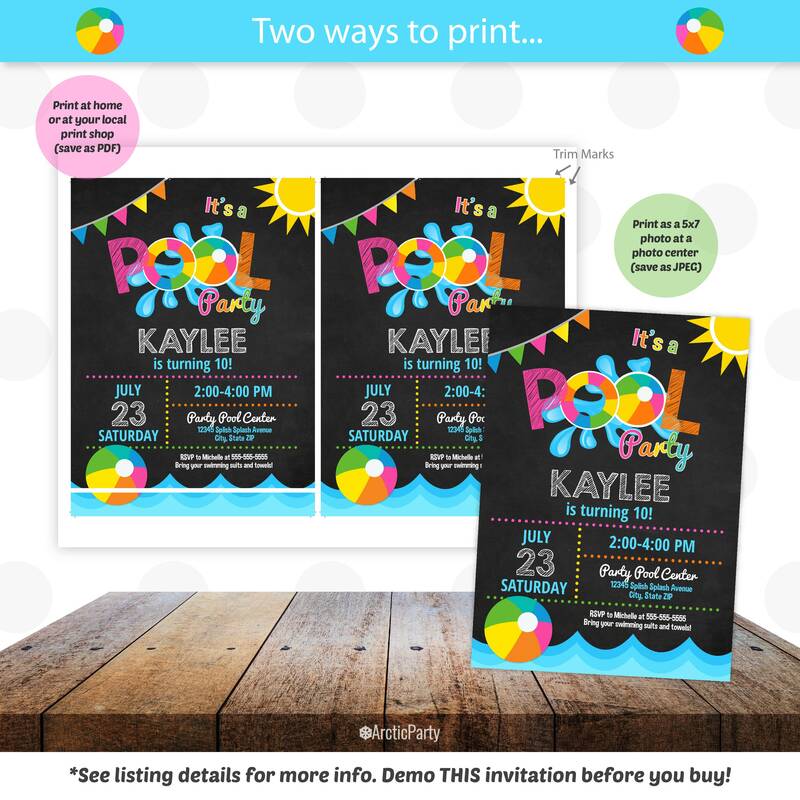 Pool Party Invitations - Swimming Pool Birthday Party - Swimming Party Invitations - Pool Party Invitation - Pool Party Supplies - Edit NOW! 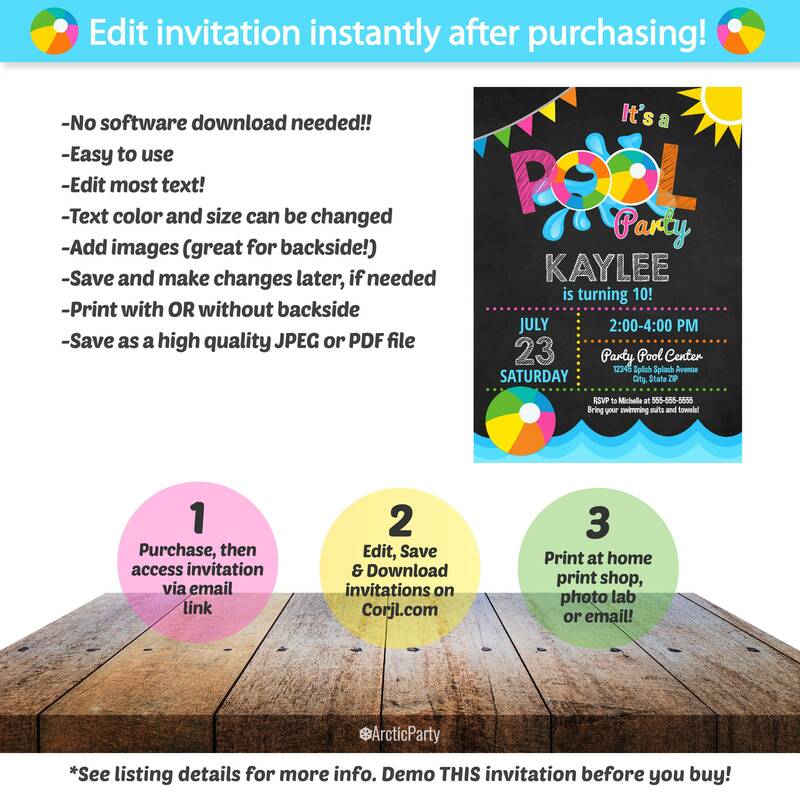 Pool Party Invitations Template! 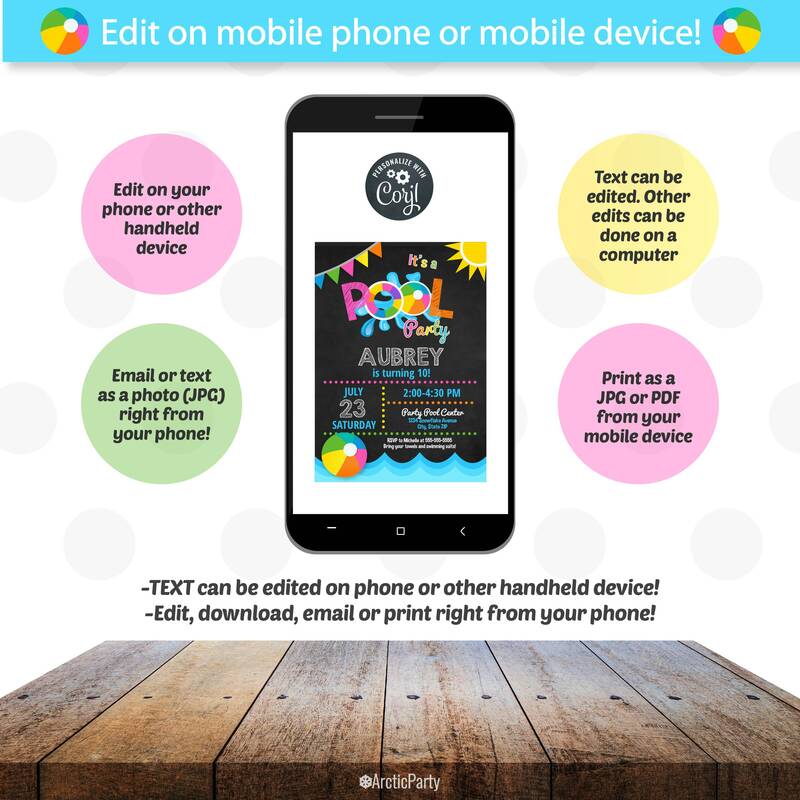 Includes backside design. Backside Included. No waiting! Edit NOW from home using Corjl.com. 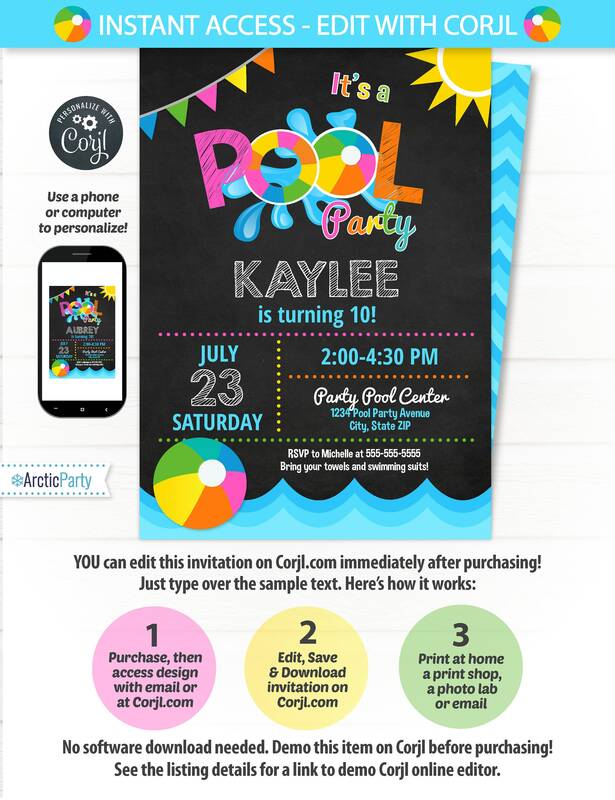 Edit your invitations at Corjl.com right after purchasing!